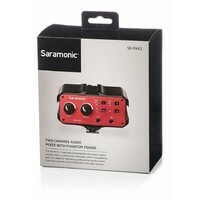 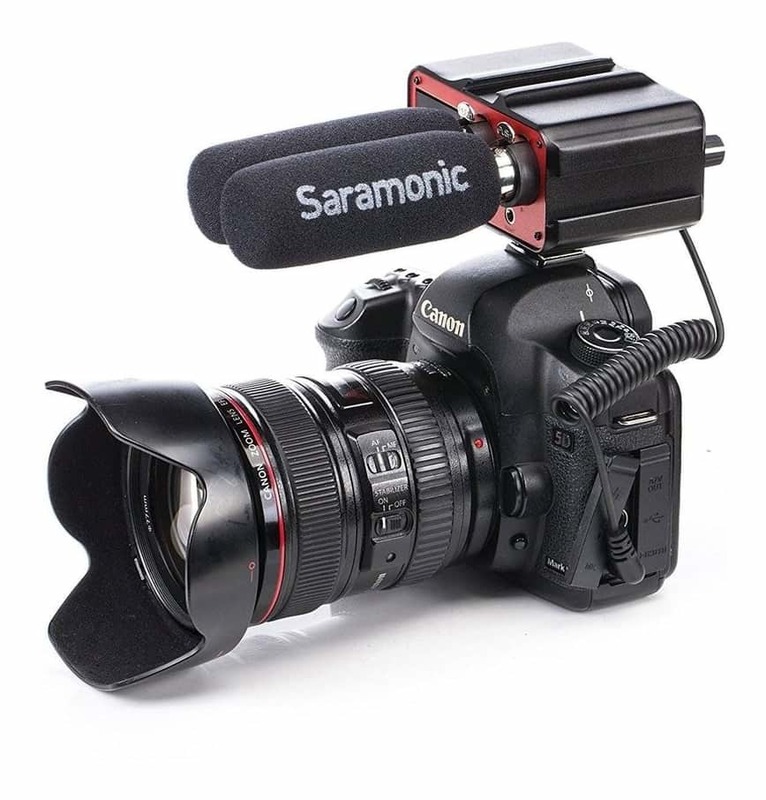 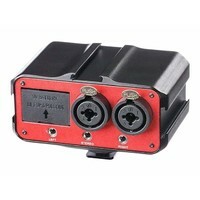 A lightweight and compact mixer solution for professional-quality audio recording into a video camera. 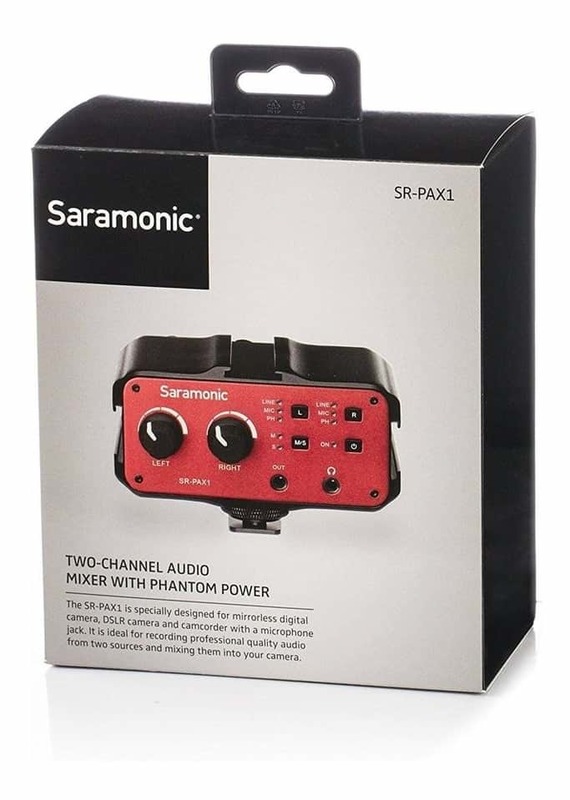 Recording two channels of audio, the SR-PAX1 can be used to combine two microphone signals into one, or to mix a stereo XLR signal into a 3.5mm plug. 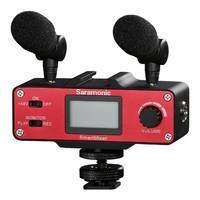 A lightweight and compact mixer solution for professional-quality audio recording into a video camera. 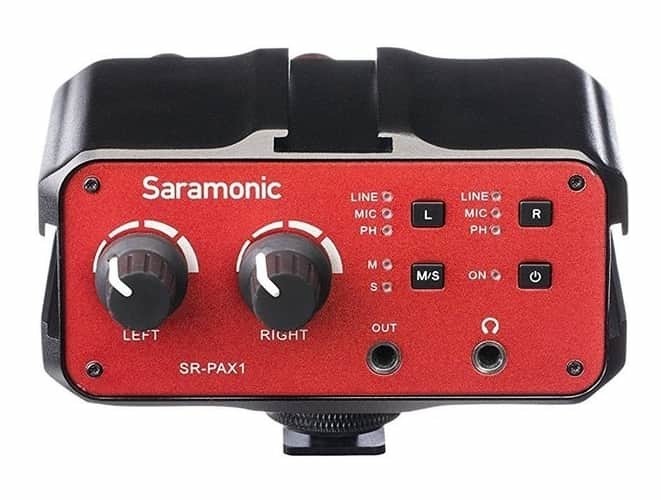 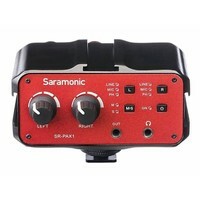 Recording two channels of audio, the SR-PAX1 can be used to combine two microphone signals into one, or to mix a stereo XLR signal into a 3.5mm stereo jack. 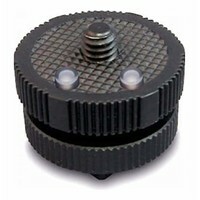 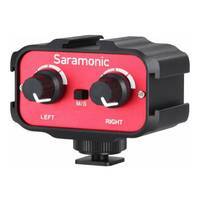 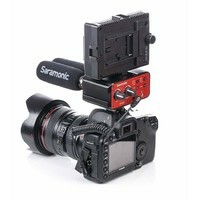 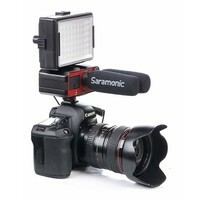 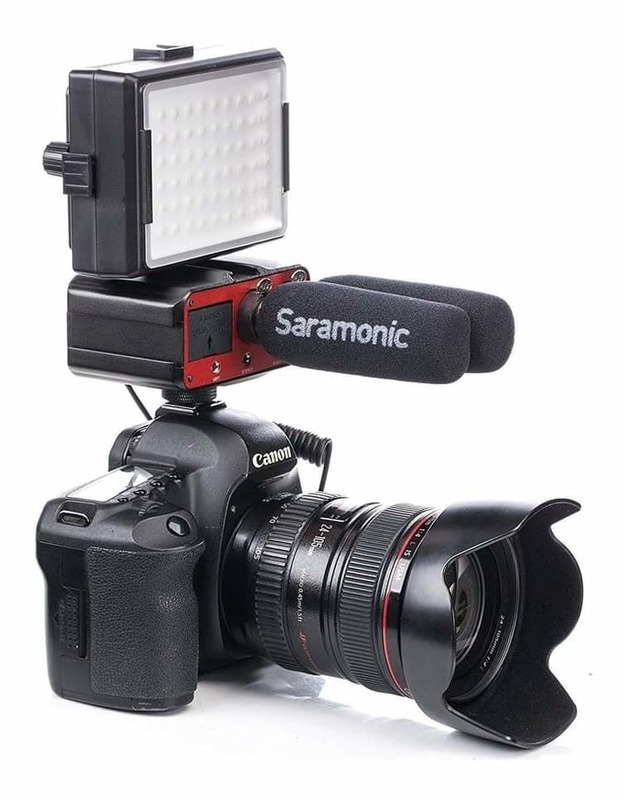 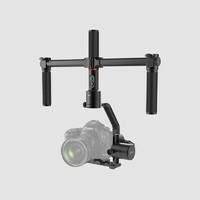 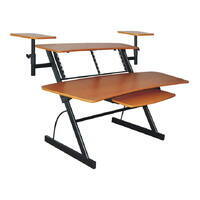 It attaches to the base of a camera, and a threaded socket on its base allows for mounting on a tripod or case. 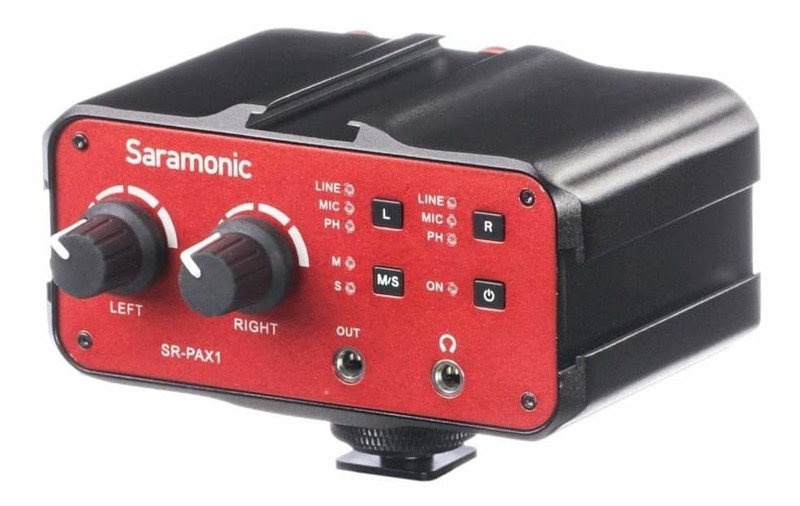 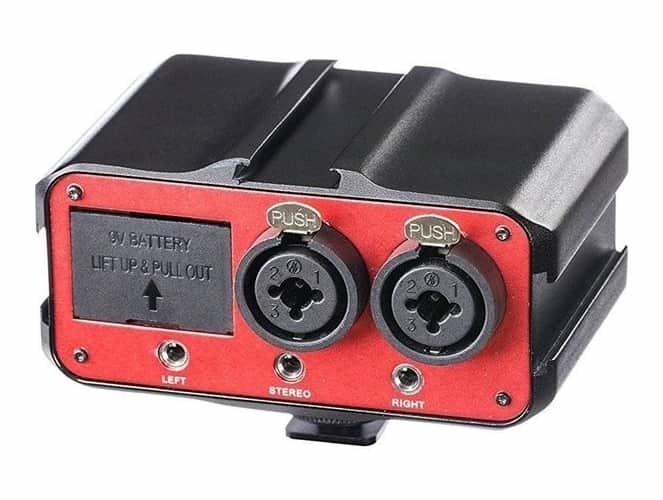 The SR-PAX1 features dual balanced XLR inputs, dual 3.5mm (TRS) inputs, and dual 6.3mm inputs which provide the ability to accepts signals from a wide variety of mics or line levels sources such as wireless microphones and external audio recorders. 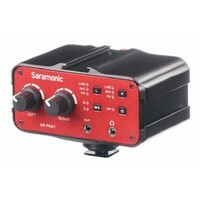 The input levels of each channel can be easily controlled with the dual gain control knobs. 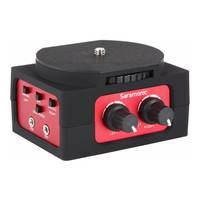 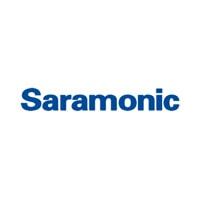 A phone jack allows you to monitor the audio in real time. 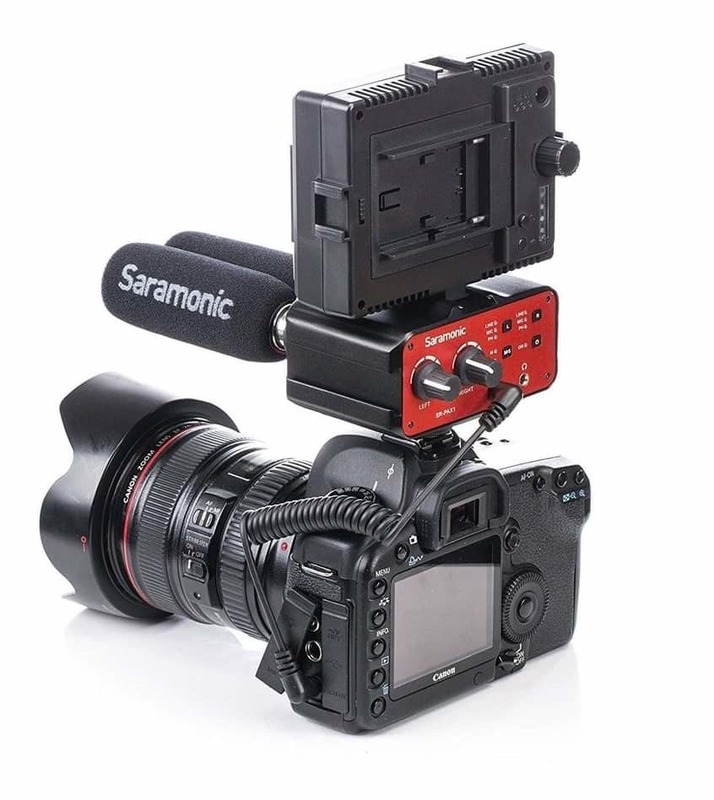 The SR-PAX1 makes your recording work much easier by reducing time in post-processing.